Quoted in Robertson, A., & Plummer, A. (1911). A critical and exegetical commentary on the First epistle of St. Paul to the Corinthians (p. 398). New York: T&T Clark. So then it appears that from this reference that Paul acknowledged a congregational leadership role for a woman, in this case Priscilla. So in this example we can see a woman in a leadership role of a Messianic community. I think that this is an important example for us as the next generation of leaders to see that we do do have this example in the Apostolic Writings of a woman leading a congregation. 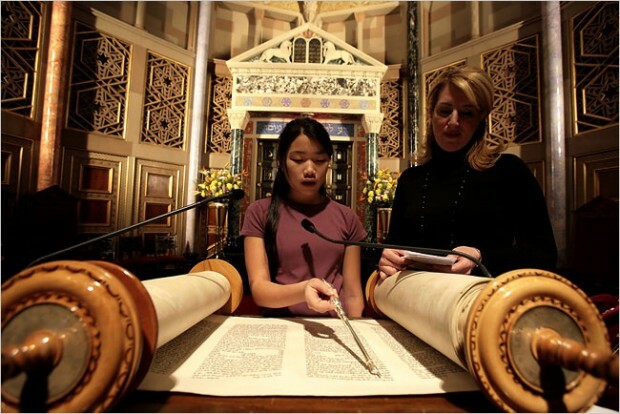 In the larger Jewish world there have been women rabbis in Conservative, Reform and Reconstructionist Judaism for the last 20 or 30 years or so. For a fascinating study of women rabbis read the book, “Women Who Would Be Rabbis: A History of Women’s Ordination, 1889-1985” by Pamela Susan Nadell. I appreciate the halakhic thinking of Conservative Judaism that makes innovative rulings in concert with the tradition and in the case of women rabbis they did this very thing. Being that one of the main issues blocking women from the rabbinate is that women according to Jewish law are not required to perform time bound mitzvot. So then the halakhic committee of Conservative Judaism ruled that if a woman wanted to be a rabbi she would have to take upon herself the time bound commandments (thrice daily prayers, tefillin, tzitzit, for example). This being done and taking on these mitzvot as an obligation then women could study for the rabbinate. Even in Orthodoxy there is more room for women in leadership roles in overseeing Jewish schools and even serving as halakhic advisors on specific issues of Jewish law in relation to women (family purity and other family issues). So then from the Apostolic Writings and from the larger Jewish world there is acceptance and openness to women in leadership roles. I think that we will need to look at this further and I feel that if not in the current generation in the next generation we will see the first formally ordained woman rabbi in the UMJC. May we all seek to fill the roles that God has for us and may we build a mature Messianic Judaism for the future!